Critics often claim newer strains of marijuana are much stronger and potentially more dangerous. In a recent case, a state appellate court in Sacramento recently ruled that “concentrated cannabis” qualifies as marijuana for purposes of medical use. The decision was made unanimously by a three-justice panel. The Third District Court of Appeals disagreed with an earlier decision by an El Dorado Superior Court Judge, who found a medical marijuana patient violated probation by possessing concentrated cannabis. The new decision could potentially help future defendants who are caught in possession of highly concentrated cannabis. According to court records, defendant was charged in 2013 with unlawful possession of concentrated cannabis. Though the charge was only a misdemeanor, defendant was on probation and the infraction amounted to a parole violation because he allegedly failed to “obey all laws.” At the time of arrest, a probation officer searched defendant and found .16 grams of “honey oil,” a concentrated form of cannabis, along with .05 grams of “dabs” and another 3.33 grams of marijuana. The defendant had a physician’s recommendation for the use of marijuana and for the active ingredient THC to treat acid reflux and migraines. 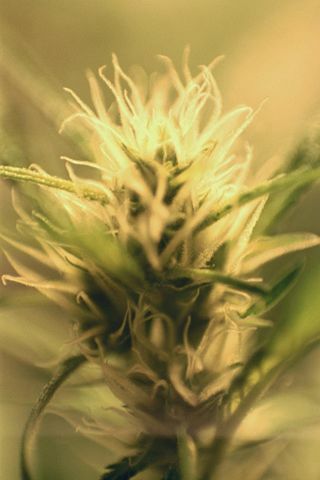 Concentrated cannabis is covered under the California Compassionate Use Act (CUA), the 1996 law that legalized marijuana for medical use with a doctor’s recommendation. In this case, the Superior Court judge rejected the authority of the Compassionate Care Act as “unsound” ruling that the CUA does not apply to concentrated cannabis. According to the judge, the act does not adequately define “marijuana” and does not refer to concentrated cannabis in the statutory definitions of the term. Concentrated cannabis is the separated resin and can be obtained in crude or purified form. Defendant claimed he purchased all of the items at a medical marijuana store and the products were in compliance with state laws and his probationary terms. Due to the alleged violation, the Superior Court judge extended his probationary period by two years. The sentence execution was stayed pending the appeal. According to the appellate court, the judge violated the defendant’s right to defend himself based on the CUA. While the CUA does not define marijuana or concentrated cannabis, the terms had been defined in other sections of the law when it was approved. Under these sections, all parts of the plant, including seeds, resins and extract are covered under the law. The opinion stated that concentrated cannabis is covered under CUA and therefore, the state lacks evidence to prove that the defendant was in violation of his probation. The court ruled that the error was not harmless and therefore reversed the judgment of the trial court. Despite laws that favor marijuana card holders, many defendants can face criminal charges and serious penalties. Our Orange County marijuana attorneys are dedicated to helping individuals and dispensary owners protect their rights in the event of an investigation or criminal charges. Any drug conviction can carry serious penalties and should be handled by an experienced attorney.